Volvo’s spin-off performance subsidiary has announced the first six markets for its Polestar 1 plug-in hybrid. 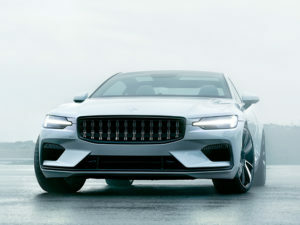 Starting formal orders in early 2018, the Polestar 1 will initially be available in the US, China, Germany, Sweden, Norway, and the Netherlands – countries selected, in part, due to the initial customer demand in those markets as well as their strong electric vehicle markets. The brand will now open what it calls Polestar Spaces – dealers for drivers not wishing to order online – with further markets to follow. Production of the car will start in mid-2019 at a new Polestar Production Centre currently being built in Chengdu, China, and the car will be offered on a subscription model, with a no-deposit, all-inclusive monthly payment covering insurance, depreciation, collection and delivery for inclusive servicing. Details of the technology behind the Polestar 1 are still thin on the ground but the 600hp plug-in hybrid is based on the same platform as the S90, V90 and XC90, with a revised chassis and part carbon fibre bodywork. The rear axle features an electric motor at each wheel, producing a combined 216bhp and a battery-only range of 150km when fully charged, along with a 2.0-litre Volvo petrol engine at the front wheels, boosting output to 600hp and offering four-wheel drive.